Brunch is a well-loved institution in Australia – a time when family and friends come together with good coffee and food to get the day started. Over the last decade, Melbourne and Sydney have raised the bar in the quality of their brunches, through creative menus, specialist coffee and service to match. But in South Australia, Adelaide’s progressive food scene has come a long way in recent years. New quirky brunch cafes and specialist coffee shops are now popping up around town by the dozens, giving Melbourne and Sydney brunch spots a run for their money. Whether you’re looking for a superfood infused salad, a greasy hangover cure or, or much-needed reward after your morning run, there’s something in Adelaide for even the fussiest brunch goer. Here’s my guide to ten of the best places for brunch in Adelaide. 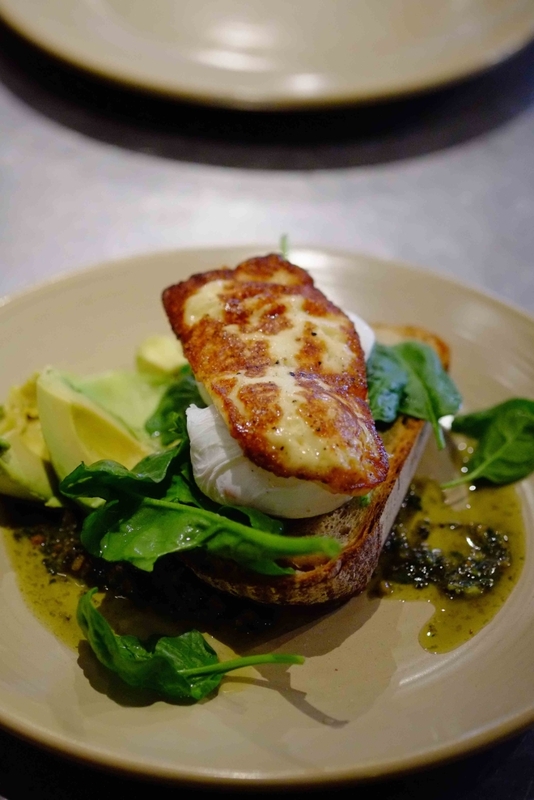 One of Adelaide’s worst kept secrets when it comes to a quality brunch – “The Pantry” is famed for its innovative brunch menu and modern twists on old-fashioned favourites. Nestled in the middle of upmarket Hawthorn, the cafe is housed in an old set of shops near the railway line. The cosy cafe is a unique mix of old and new, blending contemporary art works together with mismatched retro furniture and crockery. Sweet cinnamon encrusted french toast with blueberry and apple compote and “Russell’s Big Breakfast”, complete with all the trimmings, are some of the dishes you can expect from their comprehensive menu. 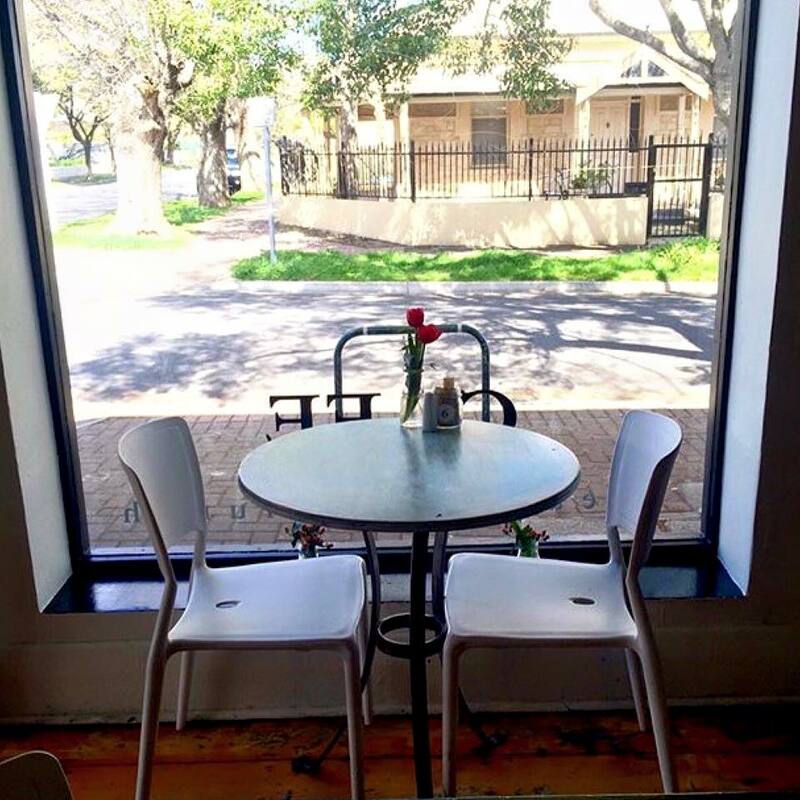 If you can manage to fight off the Hawthorn yummy mummies for a seat, the retro inspired cafe is a perfect spot to sit back and relax with a De Groot Co coffee and hum along to their classic tunes. The service is fantastic too, which keeps locals coming back for more week by week. Venture to the leafy Eastern suburb of Dulwich and you’ll find one of the best brunch spots in Adelaide – the Corner Store Café – tucked away in sleepy Swift Avenue. Join the locals and their pooches on the sidewalk tables in the sunshine and enjoy their top-notch coffee, excellent service and quality produce. The interior has a distinct rustic feel with its warm atmosphere, exposed bricks and wooden floorboards. The owners pride themselves in using artisan and local produce – from their free range eggs sourced from the Adelaide Hills to their Fleurieu milk. If you’re a sweet tooth like me, you can’t go past their fluffy pancakes and French toast. Don’t miss their daily specials on the blackboard. They don’t call this café Mister Sunshines for no reason. At this Thebarton brunch spot, you’ll find the friendliest service going around. The food and coffee doesn’t disappoint either. Sweet tooths will love the French toast with caramelised pear, or if you’re looking some something a little “meatier,” the house beans with chorizo never disappoints. It’s an interesting café, full of vintage furniture, 70s style china and landscape paintings flanking the walls. There’s also a nice area to soak up the sunshine on summery days. Just look for the bright yellow umbrellas under the gums, then you’ve found your destination! You can never go wrong with service with a smile to start your day happy. Brunch fanatics will be well impressed with the menu at Loose Caboose, which literally explodes with mouth-watering dishes like banana french toast with salted caramel and pure cream and the epic Loose Caboose Board – a gut wrenching selection of eggs, thyme roasted mushrooms, smoked bacon, feta, avocado, tomatoes and fresh sourdough. The cafe has been brilliantly converted from the old Bowden train station. It’s a spacious fit out full of character and a blend of old and new world charm. The deck is the place to soak up that sunshine in the summer months but in winter you can retreat indoors and cosy up to the roaring fireplace. Be warned – this place gets seriously busy on weekends so be prepared to queue if arriving at peak times. If you’re looking for a brunch on the finer dining side, check out Chianti Classico on Hutt Street complements of talented breakfast chef Lili Matthews. Chianti is one of Adelaide’s most successful restaurants for good reason – their food, wine and service are superb. All eggs are McGwerriton Organics free-range eggs while their fruit is sourced from known Riverland producers and iconic South Australian organic farms,The Food Forest and Fat Goose Organics. The spring menu features delicious brunch treats like passionfruit crepes, butternut pumpkin waffles and polenta fritters. If you’re feeling indecisive, try their famous selection plate – with a smaller serve of bircher muesli, eggs benedict and the passionfruit crepe. If you’re in the mood for a boozy breakfast, indulge in a Bloody Mary or Breakfast Martini on the side. If any coffee shop was to win the crown for best coffee in Adelaide it would have to be Bar 9 in Parkside. Affectionately described by themselves as ”a coffee nerds shed”, Bar 9 is a grassroots espresso bar serving ethically traded single origin and blended coffee from quality driven roaster, Five Senses Coffee. But the quality doesn’ t stop at their coffee – they also serve a mean brunch. Expect your taste buds to be tantalised by house hits like the indulgent creamy truffled mushroom ragu, or if you prefer something lighter, the house cured ocean trout served with creme fraiche and dill goes down a treat. They pride themselves in sourcing the best in South Australian local produce; even their milk is sourced from a boutique farm in Lobethal in the Adelaide Hills. Its full-bodied and creamy flavour is a dream for that perfect cappuccino. The flagship store is nestled between a strip of factory outlet shops on Glen Osmond Road. I fell in love with Swedish Tarts the minute I laid my eyes on their counter laden with freshly baked tarts and cinnamon buns. With two locations in Semaphore and Henley Beach, Swedish Tarts has developed into one of Adelaide’s hottest brunch institutions. The all-day breakfast menu boasts a great range of sweet crepes and traditional breakfast specials like baked omelettes and salmon scrambled eggs. Traditional breakfast dishes are given a Swedish twist – like the tjockpannkaka – a big fat bacon pancake paired with lingonberry jam. My personal favourite is the Swedish savoury crepe with smoked salmon, balsamic baby spinach, salted capers and red onion with homemade aioli and dill. Argo on Norwood Parade is quite possibly Adelaide’s most popular brunch destination. Just drive past The Parade on any given weekend and see hordes or brunch goers eagerly lining up outside to get their hands on a nicely brewed coffee and a well crafted brunch dish. 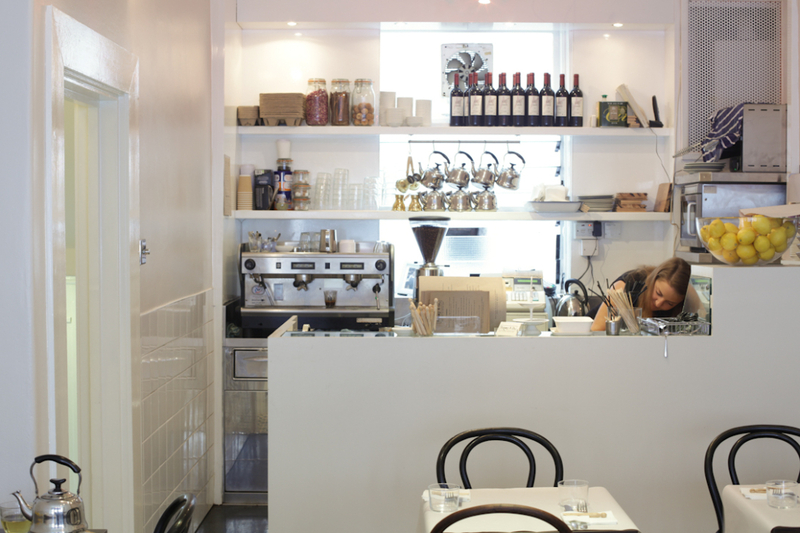 The huge front counter is always laden with a mouthwatering selection of cakes, slices and raw balls. On the classics menu, there’s all the typical brunch classics like smashed avocado, eggs benedict and the gut wrenching Argo big breaky. Wash it down with one of their superb cold pressed juices. You won’t come away disappointed. Just make sure to get there early to avoid spending half your morning waiting in a line. If you’re lucky enough to have A Mother’s Milk as your local, you’re in for a treat. Their expert baristas certainly know how to make a good coffee. The café has a rustic industrial feel with its exposed brick walls, graffiti and warehouse style crates which double as seats outside. The dishes are served on wooden boards – think baked turkish eggs smothered with napoletana sauce, shaved provolone cheese and fresh parsley, or the BRT – sourdough packed with chunky bacon, rocket and tomato. My current favourite is the pear and saffron poached baby figs with goats cheese on toast. 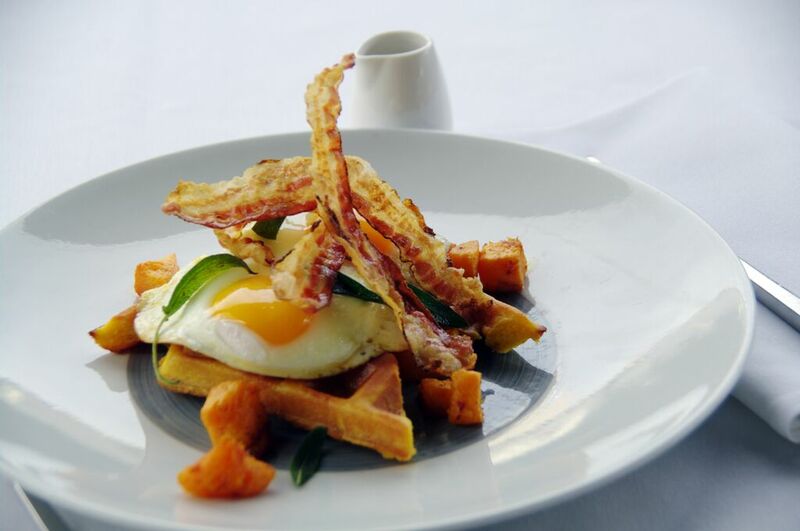 Regular brunch goers – you won’t be disappointed. As far as atmosphere goes, Cafe Troppo on Whitmore Square is brimming with atmosphere and charm. The ethos at this eco-friendly cafe centres around sustainability, the environment and community. The brunch menu is largely inspired by local, seasonal produce. Expect beautifully crafted brunch dishes like the “mushie morning” – sauteed Swiss mushrooms on sourdough with fresh greens, crumbled local goats’ cheese, Troppo pesto and a poached egg, or “the poachie” a gorgeous ensemble of poached eggs on sourdough with spray free avocado, grilled haloumi and Troppo pesto. The coffee is also ethically sourced, fair-trade and organic, roasted just out of town on Magill Road. Enjoy a quality brunch and feel good about the environment while doing it. What are your favourite brunch spots in Adelaide? Please leave your comments below. I would love to hear from you?